Validation that last year wasn’t a fluke. Validation that it isn’t just a mid-major program that won a weak conference only to get bounced in the first round of the tournament. At the college level, there is a continuous turnover with one constant: the coaching staff. For Quinnipiac, they have perhaps the best coaching staff at the mid-major level. Though the loss is fresh, the one who has spearheaded Quinnipiac’s success is able to see the growth of the team. Three NCAA Tournament wins in the past two seasons will do that to a team, give them validation that is, especially when you factor in that it was the lower seed in every one of those games. Its just hours after Quinnipiac lost to UConn in the second round of the tournament and yet the big picture is clear. Tonight’s loss was still a step in the right direction for a program with a bright future. This is a team that is here to stay. These past two years weren’t a fluke. The biggest praise, however, came from the coach that has admired them from a distance. What’s next for Quinnipiac will be more success, which will hopefully be coupled with more fan engagement in Hamden. Quinnipiac will return four of its five starters from tonight’s game with Carly Fabbri the only senior not returning to the program. 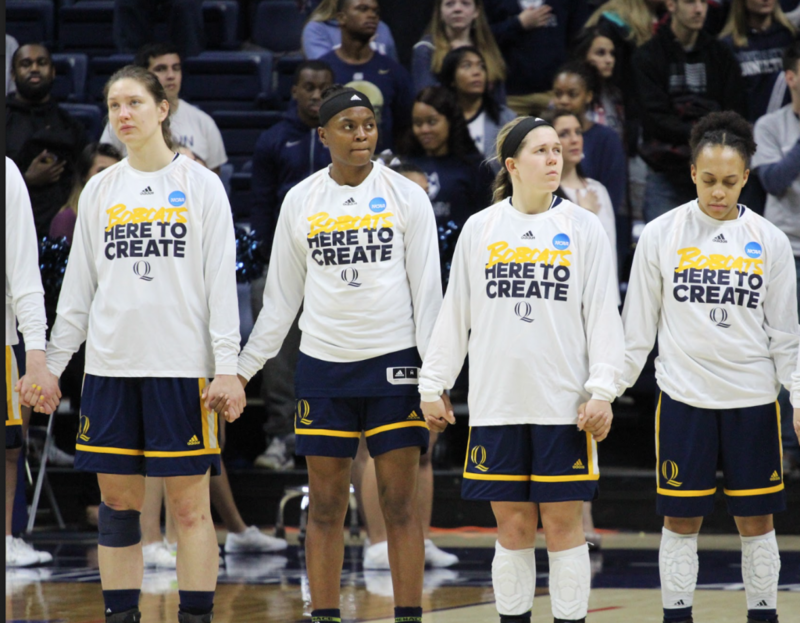 Make no mistake about it; this Quinnipiac team will be here to stay and soon the school will be known not for its polling, but for its sports.